What would you do if you had the exact resources and support you needed to graduate from college and pursue the job of your dreams? If so, did you know that you’re no different than many students out there? The real challenge for you is to IGNORE the voice that says you’re not ready or capable of graduating from college. In my many years of counseling, this is the #1 reason why I see students return after their first year of college. Not because they aren’t capable, but because they lack the confidence. Life is 90% perspective 10% what happens to you! YOU can afford college ! 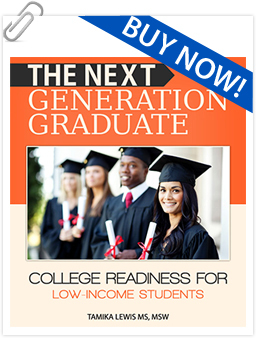 YOU can successfully graduate from college ! YOU can gain the skills you need to be marketable in today’s job market ! Imagine how your life would change if you simply stopped the negative recording and started saying YES to yourself. Imagine the job options you could have, the money you could make, and the higher quality of life you would have by graduating from college. Start believing that it is POSSIBLE! 1) The belief that you can’t afford it! Nearly one-half of all college qualified low and moderate-income high school graduates do not enroll in a four-year college because of financial barriers. Did you know that the grand total for aid given out to students in the 2010 fiscal year was 133.8 BILLION dollars? Yet students believe the MYTH of not being able to afford college. The truth is that ANY student can afford college if they maintain excellent grades and have access to the RIGHT financial resources. And there is A LOT of money available especially for low-income students. More on that later. 2) Feeling overwhelmed by the application process! The college application process can seem very overwhelming. 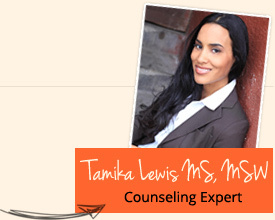 Like many prospective college students, you might be battling self-doubt and the temptation to just throw in the towel. But before you do just know that you are not alone! 1) Not knowing the right questions to ask. 2) Not having a method to the madness. Staying organized, reaching out for support, and keeping track of deadlines can exponentially increase the ease of the application process. Proper guidance, even if you have to go out and fish for it, is crucial to completing your application efficiently and timely. Not sure WHO TO ASK for help? I will introduce you to a number of resources and organizations that are just waiting to help you. I will also show you what factors to consider when selecting and applying to college, which could mean the difference of 1,000’s of dollars in your financial aid package. 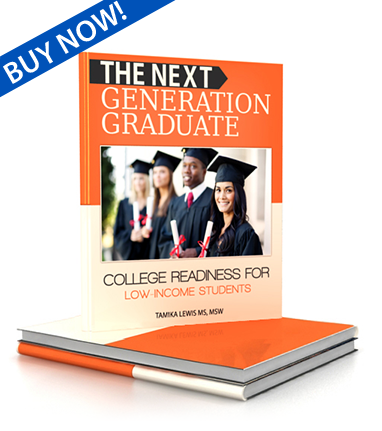 The Next Generation Graduate guide is jam-packed with information that has helped numerous students navigate the college application and enrollment process with significantly greater ease. This is critical seeing as how many low-income and first-generation students are left to embark on this process alone. I know, because I was one of them. I had to learn the hard way, but I quickly discovered that there were tons of resources available to me-scholarships, organizations, campus resources that existed for the sole purpose of helping me complete my undergraduate and graduate education with greater ease and little to no money. And, I’m proud to say, that with a little bit of work and commitment, I did just that. Are you a student or parent of a student who is admittedly lost in the haze of the college application process? I’ve narrowed my college selections considering my Return on Investment (ROI)? This means considering your major, graduation rates, cost of tuition, generosity of a school, and Expected Family Contribution (EFC). I’ve attained a satisfactory SAT score using the Fee Waiver and have established eligibility for application fee waivers for all of the college to which I will apply? I have a complete brag file in hand, including my transcripts, high school accomplishments letters of recommendation, awards and certificates, personal statement drafts, etc. I’ve taken all of the recommended coursework needed to apply to the colleges of my choice. I’ve created a FAFSA pin number and have gathered all of the necessary tax documents for completing my online application. If you found it difficult to check any of these YOU ARE NOT ALONE. But IT IS TIME to be proactive and access the information you need NOW. 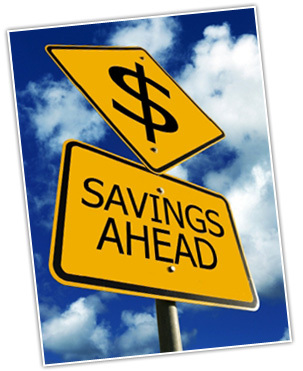 is all about helping prospective college students on a budget. I simply don’t believe in having to shell out big bucks before you even get to college. Therefore, you can now access ALL OF THE strategies and tips that I have used with students for years at a discounted price of $16.95. Talk about ROI, this small investment will help you to find more money, access more resources, and apply successful strategies to helping you become a marketable college graduate. offering a 60 DAY, MONEY-BACK GUARANTEE!!! GET INSTANT ACCESS TO THIS BOOK NOW! Do you have burning questions about college that you need answered?